This contest is for a Justin Bour 2018 Topps Triple Threads Autograph Single Jumbo Relic #’ed/99. Good luck!!! This contest will end Friday, December 7, 2018 @ 8:00 p.m. EST. With the release of Bowman Draft, baseball products are coming to a close for 2017. 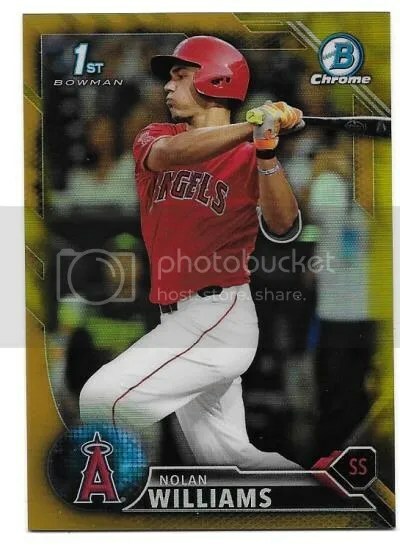 Bowman’s Best is technically the last Topps baseball set of the year. 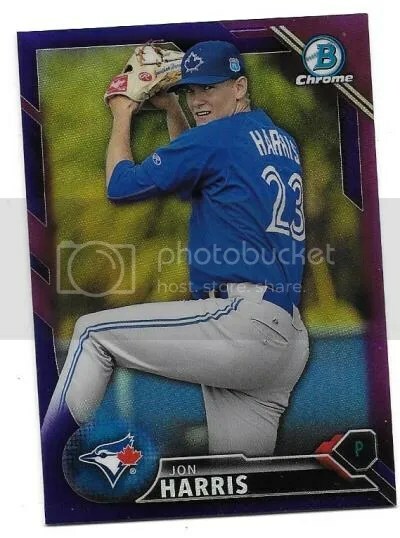 Between the four major prospecting sets – Bowman, Bowman Chrome, Bowman Draft, and Bowman’s Best, the seeds of a new prospecting class have been planted. The next Mickey Mantle or Aaron Judge could be starring at you right now, and you wouldn’t even know it. Of them all, Bowman Draft is most likely my favorite with Bowman’s Best coming in at a close second. 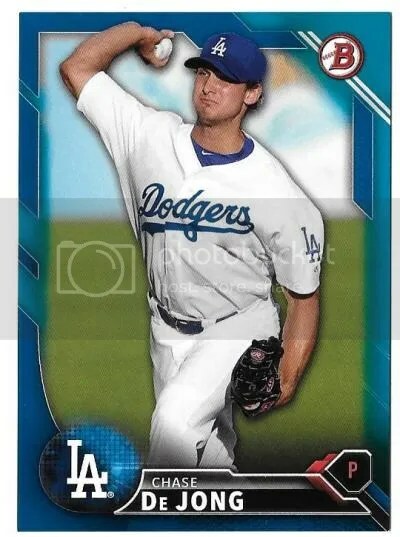 What makes Bowman Draft fun for me is that it has the first licensed cards of newly drafted players in their MLB uniforms. Speculation is at it’s highest as many of these guys haven’t had the opportunity to truly prove themselves when it comes to the world of professional baseball. High speculation combined with unproven talent can have collectors spending big bucks on young players. Especially when it comes to their autographed and/or low numbered parallels. 2017 Bowman Draft consists of a (200) card base set. 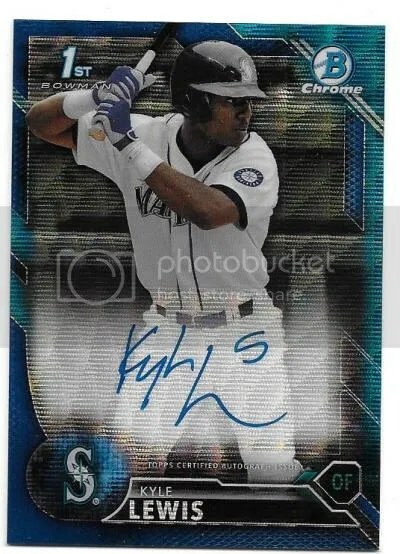 Each base Bowman card has a Chrome counterpart. Everything has parallels out the wazoo. Variations offer something fun to look for. Unlike some other products, the variations found in here are easy to find. Not only do variations have alternate images, but they come with facsimile signatures. So browsing through that big stack of cards looking for a facsimile signature should be a breeze. Some of them actually have real autographs and keep the alternate image. Those are serial numbered to (99) copies. Inserts are plentiful and come with their share of parallels and autographs. This is the only place you’re going to find veteran content. These come in the form of MLB Draft History cards. Wade Boggs, Ryne Sandberg, Randy Johnson, Roy Halladay, Rickey Henderson, Jim Thome, Derek Jeter, Carlton Fisk, Barry Larkin, and Andy Pettitte are included. Parallels are Refractor #’ed/250, Gold Refractor #’ed/50, Red Refractor #’ed/5, and Superfractor #’ed/1. Pettitte, Jeter, Henderson, Johnson, and Sandberg have autographs. I am very satisfied with my break. The checklist is solid and not that full of prospects from previous years. Hard to beat a (1) per case autograph and an Orange Refractor autograph. As 2016 comes to a close, we can say goodbye to this year’s line of Bowman products. 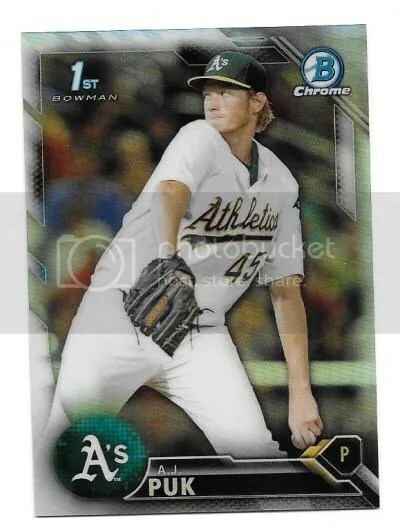 Bowman’s Best is officially the last Topps baseball product of 2016. Countless boxes were ripped open, and many collectors pulled some flashy looking cards of tomorrow’s stars. If you were lucky enough to attend the National in Atlantic City, perhaps you even got to pull some NSCC themed Bowman Chrome Refractors. I know I did. 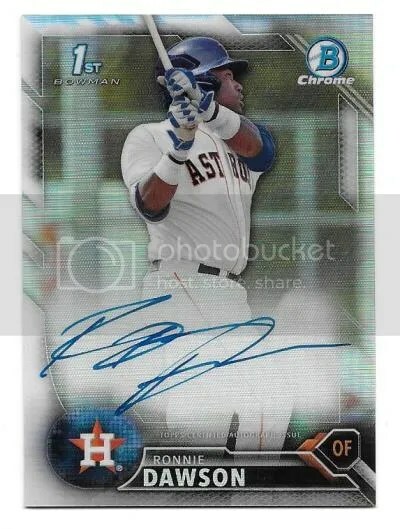 But before we change the calendar, let us dive into what is probably one of the most important prospect-based sets of the year – 2016 Bowman Draft. Bowman Draft is packed with exactly what it sounds like, recent draft picks. 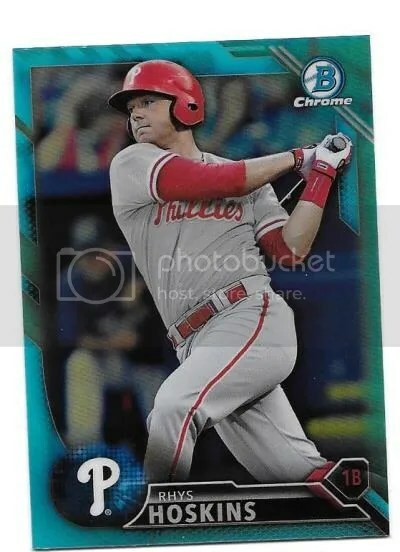 As a Phillies fan, 2016 Bowman Draft has me particularly excited since they had the first pick and chose Mickey Moniak. Collectors have been happily buying up cards of these 2016 draft picks in their new MLB uniforms. 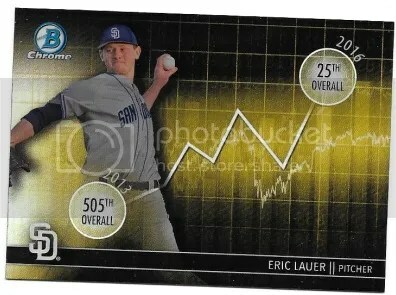 Among the (200) card base set is the wonderful world of parallels. Its always fun to bust open a pack and see if I can spot a shiny color, especially when it turns out to be autographed. 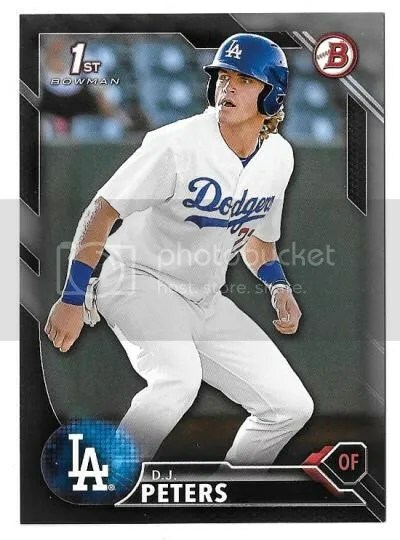 Topps keeps coming up with new parallels to collect every year. 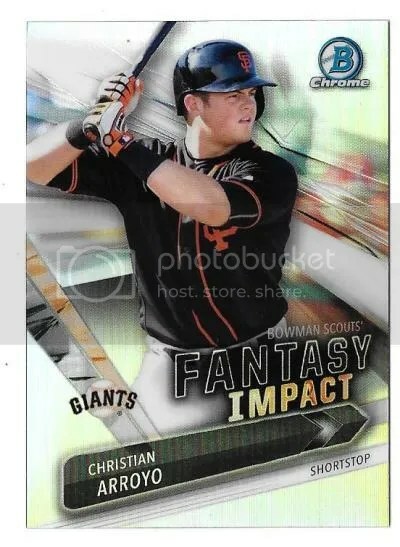 Inserts to look for include Bowman Scouts’ Fantasy Impact, Draft Dividends, MLB Draft History, and Top of the Class box toppers. All come with their fair share of parallels and autographs. The Draft Dividends really stand out to me as they’re quite good looking. I’m beginning to enjoy horizontally designed chrome cards. 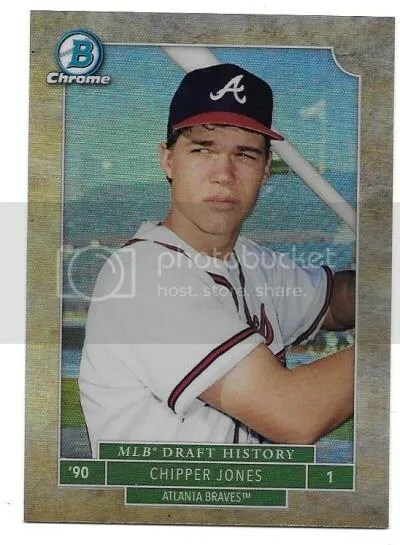 The only veterans you’ll find come in the form of MLB Draft History. Topps used very young photos of these vets. They came out great. I can’t help but notice the design is similar to those early 90’s products made by Classic. 2016 Bowman Draft’s configuration is the biggest change this year. Gone is the regular hobby box. You’ll have to choose between a jumbo or super jumbo box. Since the hobby box option isn’t available, you’re going to spend a little more. This was the first time I had ever opened a jumbo box, and it was a lot more fun than your standard hobby one. Jumbos offer so much more to pull. 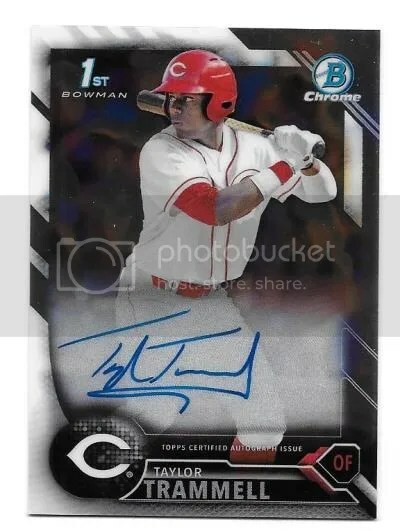 Right now 2016 Bowman Draft is the #1 product for those collectors looking for cards of the newest draft picks. Go buy a box… or case. In 2017, the Bowman brand turns 70. 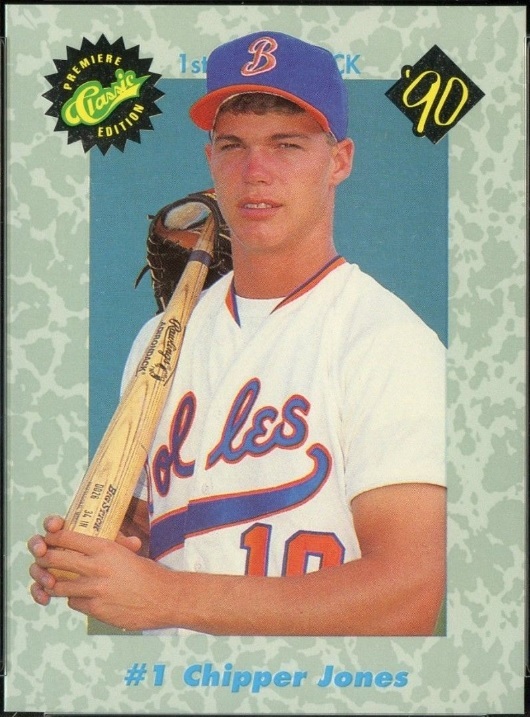 I can’t wait to see what surprises Topps has planned.